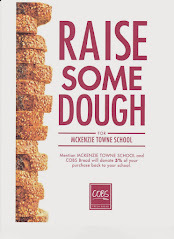 McKenzie Towne School Parent Association: SUTP Time Again! This year the incentive is an ipod touch entry for every book sold. Order forms are due back by October 11, 2013. You can send your order in at anytime. We return the envelope so when you get more you can resend it.